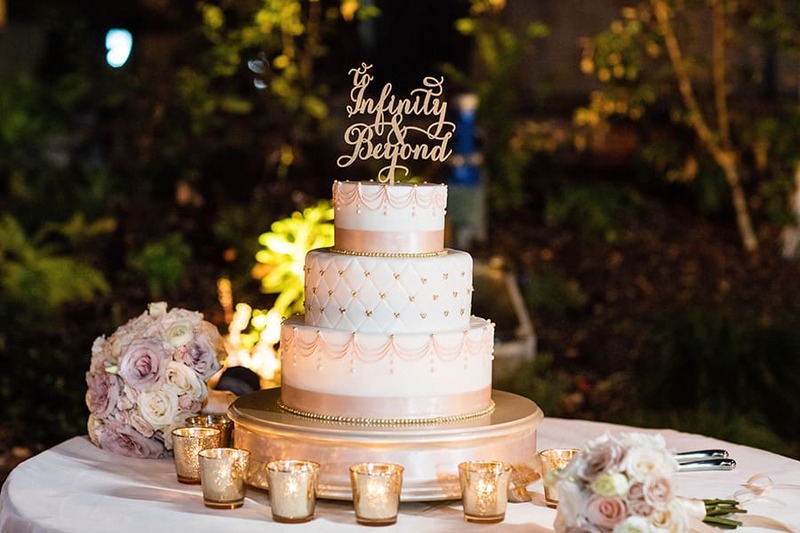 We are blushing over this week's Wedding Cake Wednesday as three classic round tiers are turned into an elegant and romantic confectionery treat. 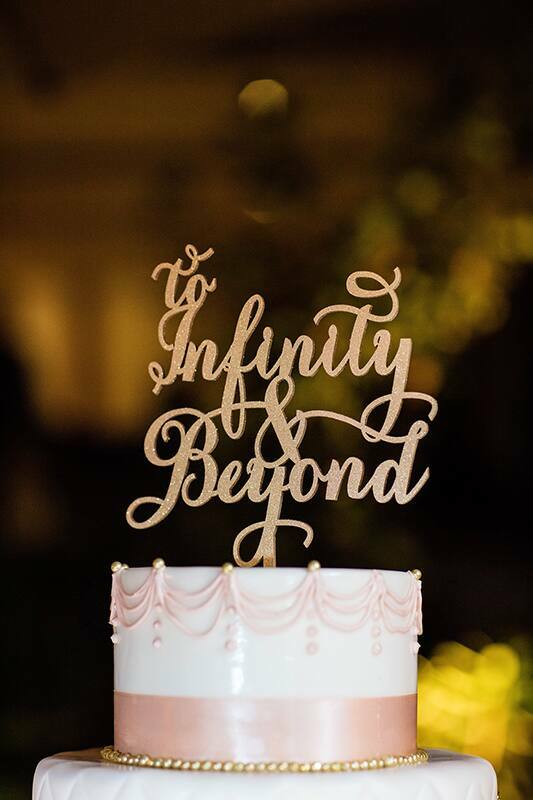 The polished design features intricate piping and a beautiful quilted pattern with golden accents.The finishing touch is a trendy cake topper, inspired by Toy Story, adding the perfect amount of sparkle. 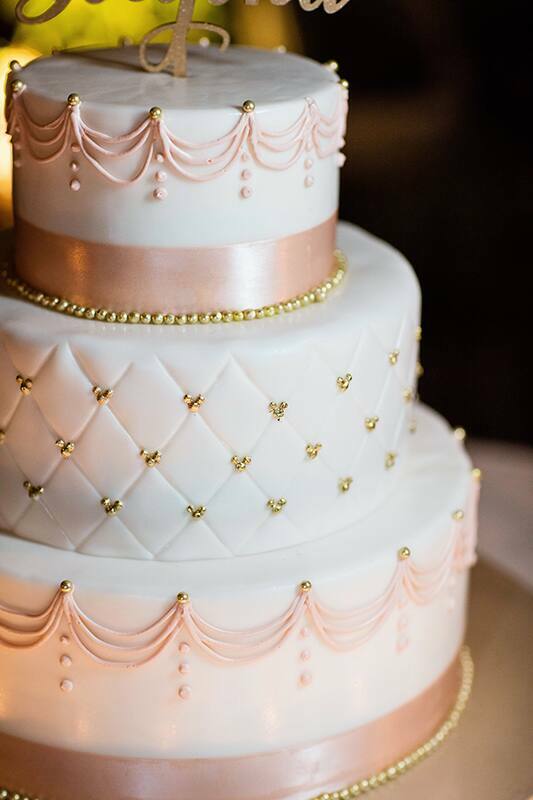 This may be one cake that is simply too pretty to eat.